Unique L.A. is back! Yes, the third annual holiday shop-a-thon of everything that comes from independent designers. 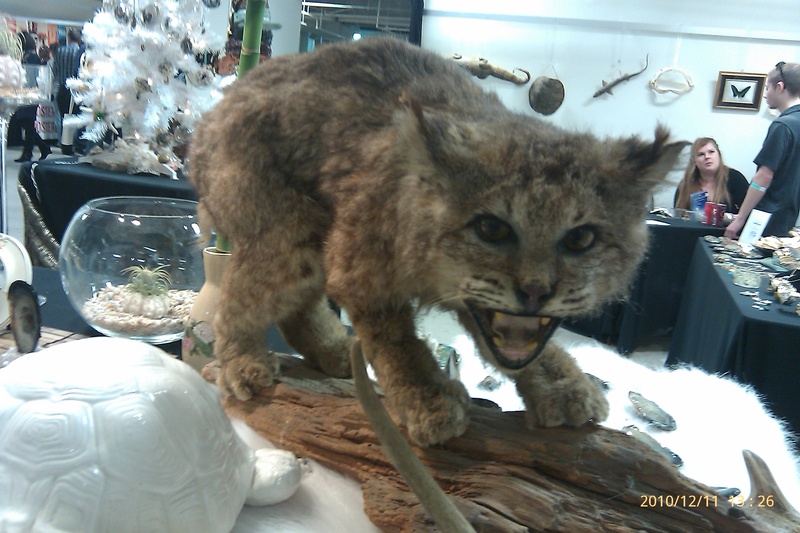 Perhaps its handmade in a persons garage; sold from a roaming bike store; and/or made from recycled goods (think junk mail from some established store like Macy’s). It has everything Do-It-Yourself and indie, well almost everything that is! 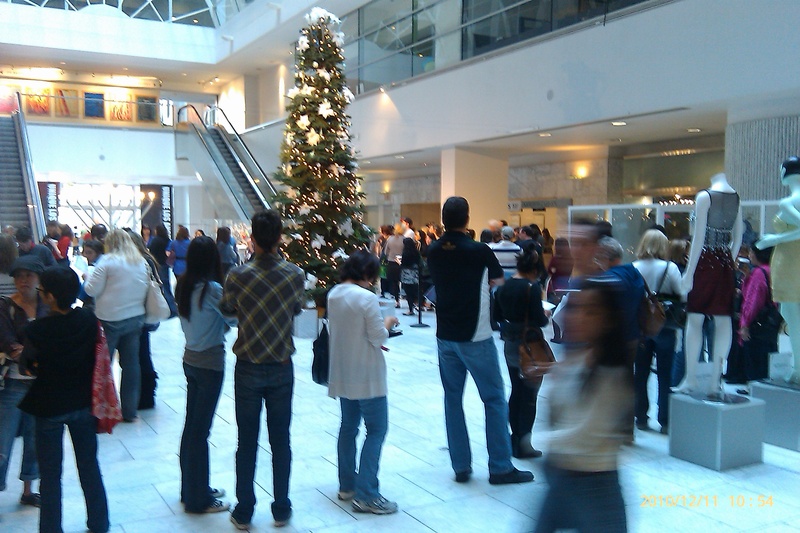 Shoppers stood under the Christmas tree that decorates the halls of the California Market Center as they waited for the 3rd Annual Unique L.A. design showcase. Unique L.A., held on Dec. 11th and 12th, from 11 a.m. to 6 p.m., takes over the top floor of the California Market Center (CMC) that sits in the heart of downtown Los Angeles’ fashion district. L.A. the Blog managed to catch the first half-day of action. Like all good fashion crowds they studiously showed up for the bonanza well before the elevators opened forming a solid line of around 200 people. It costs $10 just to get into the event, perhaps $6 to $10 for parking, so plan on at least spending $20, especially if you want something to drink while at the show. Luckily at it’s up 13 floors so you at least get a nice view for the money. Yes the infamous 13th floor, and no the CMC didn’t skip the number. It’s notable that 10 percent of the door proceeds went to 826LA, a nonprofit the event sponsored. My favorite item at the 826LA booth, the All My Friends Are Dead illustrated book by Avery Monsen and Jory John (also available on Amazon and truly funny!). 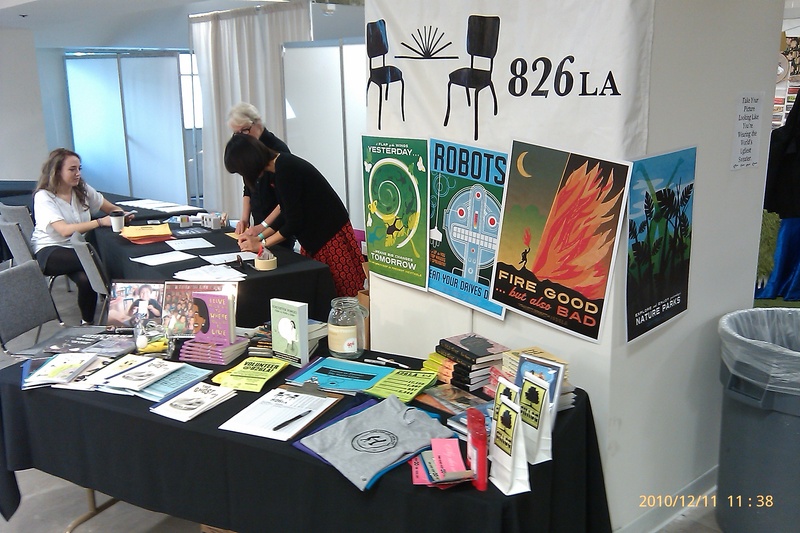 826LA offers tutoring and creative writing workshops after schools let out for those young, vivacious maniacs howling through the streets (yes I evoked Ginsberg). Let’s get to the point. The most striking thing about the show: too many shirts and not a hint of pants. You would think that people only wear tops and walk around naked from the waist down. 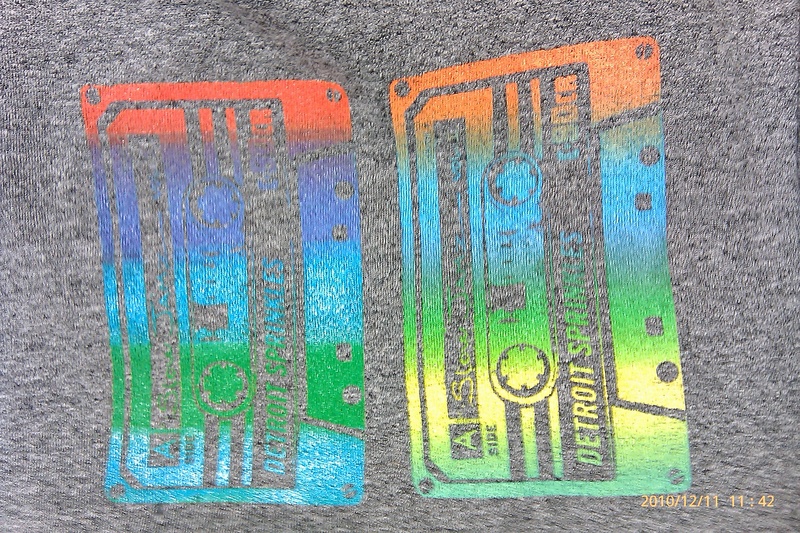 It offered sweaters, hats, t-shirts, gloves, hoodies (like those cool Detroit ones), pins for your hoodies, neat feather headwear, but not one good pair of jeans. Or at least not easily found jeans (did anyone sell pants there?). Wait, there was a sock booth where you could buy socks, and headdresses. 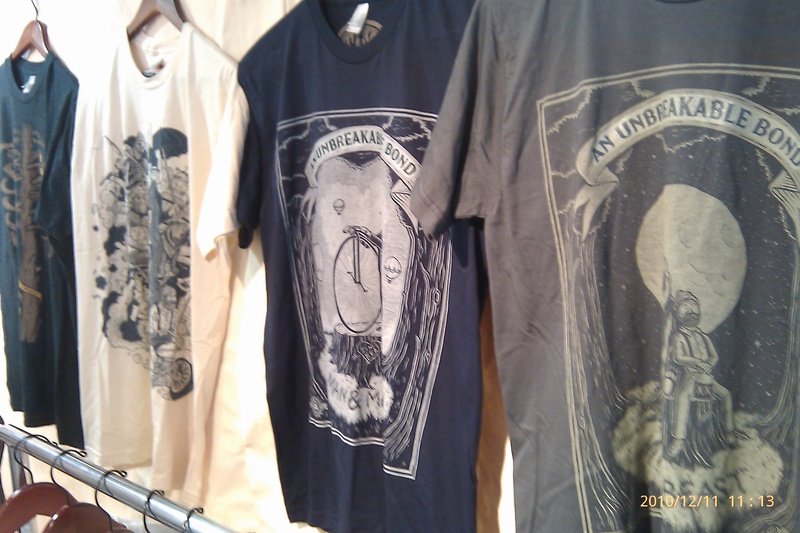 T-shirt designs on display at Unique L.A. The second foible to my perfect day, the price. As an independent design showcase with many of the items handmade, t-shirts printed by hand, original artwork hand painted, the asking price stood a little higher than the $5 to $10 dollar shirts that you can find just outside the event everyday on the street. The quality however and the unique feel of everything, the chance to wear a one-off shirt screams at the fashion diva in as all. Hell though even the food was expensive. Coffee cost $4. Enough said. 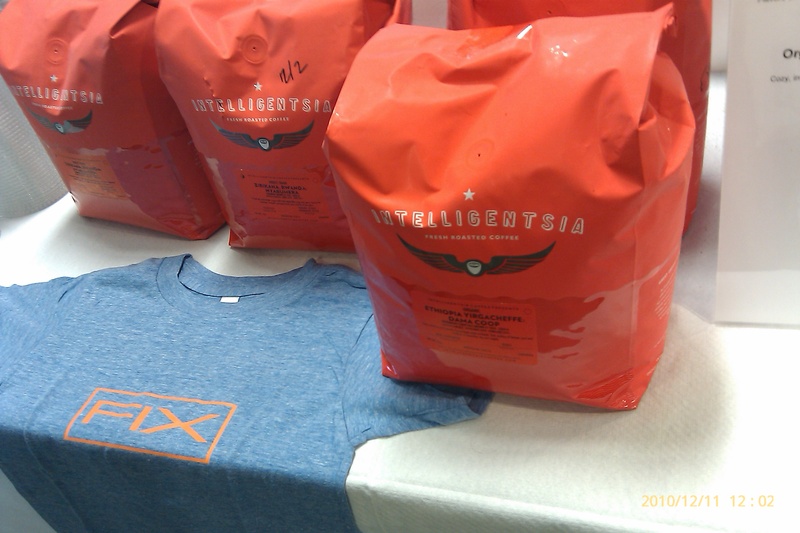 Roasted in SoCal, and sold at the newest coffee shop fad in L.A. – Intelligentsia Coffee and Tea – it even wears the mantle indie D.I.Y. The coffee isn’t even Fair Trade, it’s better. Direct Trade. Highlights of the show: the hunt for something affordable, or also known as the best bargain in the show. The live DJ. A shop that sold items from recycled garbage. Of course let’s not forget the hip people cruising around. While not everyone came decked out in fashion forward mode, there was some jewels of creativity within the shoppers. Stay tuned for updates!!! This entry was posted in 826LA, California Market Center, culture, Downtown LA, Echo Park, Fashion, fashion district, L.A., LA, Los Angeles, LosAngeles, Unique L.A. and tagged california market center, designer, diy, downtown, fashion, fashion district, independent, LA, Los Angeles, Unique LA. Bookmark the permalink.